Frederic Berger and Patrick Buck first got together as Kaiserdisco in 2008 on the back of nearly a decade of operating separately as solo acts. The change paid dividends immediately and the pair have garnered worldwide support ever since. Their versatility when it comes to blending together elements of techno, Tech-house and minimal has made them firm favourites on the global underground scene. Acclaimed releases on labels such as Drumcode, 100% Pure, Kling Klong, Terminal M and My Best Friend, coupled with performances at the world’s most impressive clubs and festivals has given them the well deserved respect amongst the industry. 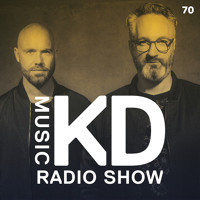 KDR071 - KD Music Radio ..
KDR070 - KD Music Radio ..
KDR069 - KD Music Radio ..